For years, a menorah, a life-sized nativity scene, and a Christmas tree stood in Boca Raton’s Sanborn Park without any opposition. This year a local school teacher, Preston Smith is challenging the status-quo. On Tuesday afternoon, Smith put up a 300-pound, 20-foot pentagram between the nativity scene and Christmas tree. 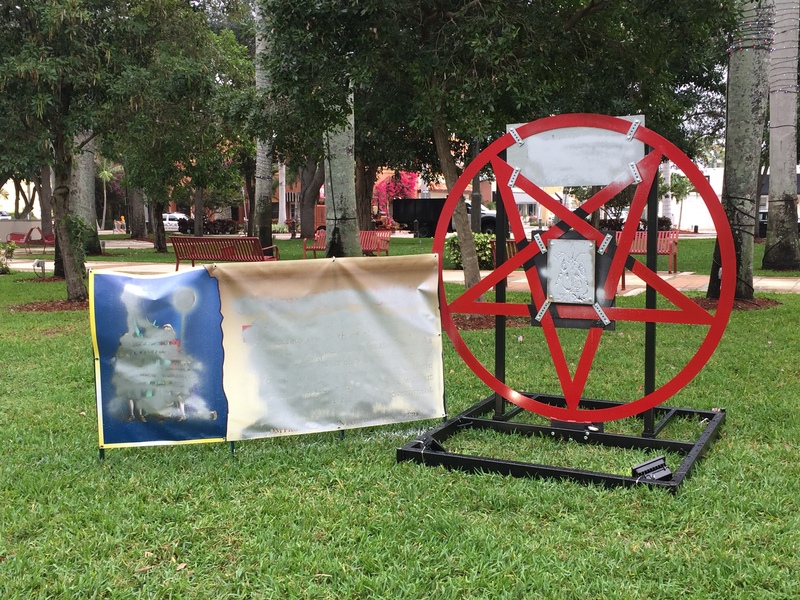 Overnight the pentagram was vandalized after residents became outraged with the display. 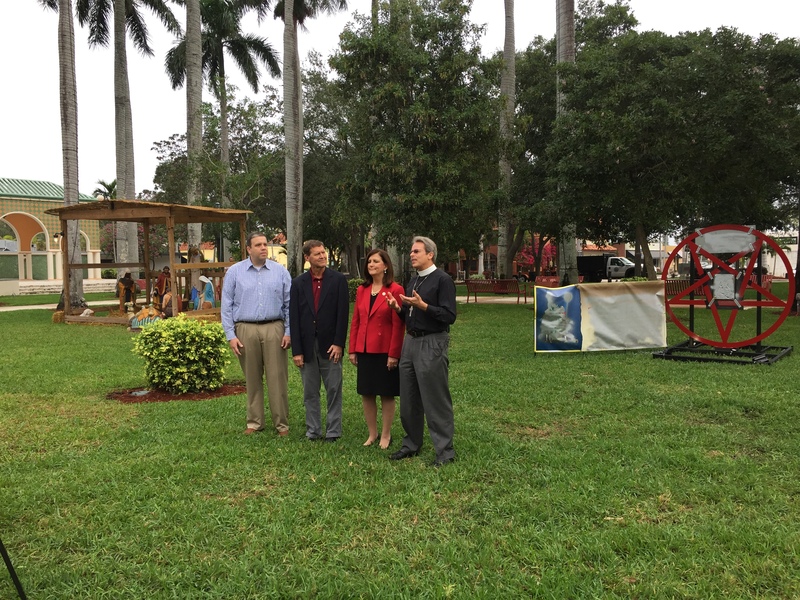 Earlier on Wednesday morning, the Boca Raton Interfaith Clergy Association, alongside Mayor Susan Haynie were at Sanborn Park to reveal a banner that will be put up before the planned Christmas Parade this evening. The symbol was provided by the Freedom from Religion Foundation, a 40-year-old organization based in Wisconsin. Smith is no stranger to pushing the envelope when it comes to “freedom of religion”, as the school teacher caused outrage last year when he led the invocation in a Lake Worth city council meeting. Religious displays promoting archaic myths and iron age worldviews are all offensive to realistic, educated 21st Century families. Anyone ever noticed the nature of the stars in the blue field of the flag of the United States? Any problem there? If not, why not yet why here? If so, isn’t it high time the clerical powers got on it? And if they don’t, why not? I find it quite extraordinary that this display challenges the existence of God, yet supports the existence of satin. Any reasonable person who does not believe in God or sees God as a myth, would also deny the existence of satin. Seems “Master” Smith has a double standard.